Juniperus Skyrocketis an upright blue juniper conifer tree and commonly referred to as Juniper Sky Rocket. 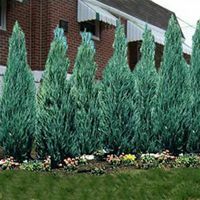 This popular evergreen, ornamental tree has a slender elegant shape and unusual, dense, steel blue foliage. It is easy to grow and likes most soil types. It prefers full sun and does not tolerate soggy ground. 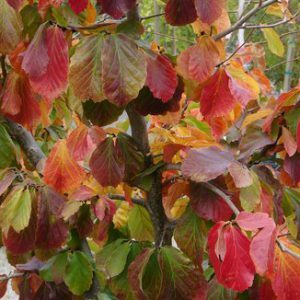 It works well as an evergreen screening tree in small town/city gardens as it is fairly slow growing and when mature will be around 5-6m.